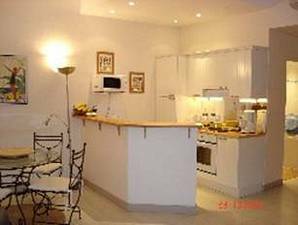 Our bright and modern three bedroom fully air conditioned apartment is in a delightful old building in the heart of Cannes on the Rue Hoche. 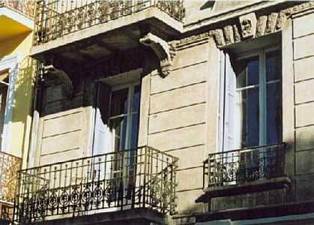 With those wonderful large French windows and dreamy blue/grey shutters, it is typical of this style of architecture! Our apartment is available 2019: Good availability - please enquire.. If your dates don't match, please scroll down to the end of this file to rent other villas and apartments in Cannes and along the French Riviera. Shops, bars and restaurants are on it's doorstep and the famous Croisette, with it's beautiful beaches and marinas, is only a couple of minutes walk away, as are the bus and train stations and the Palais de Festival, which is famous for it's International Film Festival in May each year. Other attractions such as the medieval city quarter, the colourful and bustling markets, the old harbour and casinos are just a short stroll away. 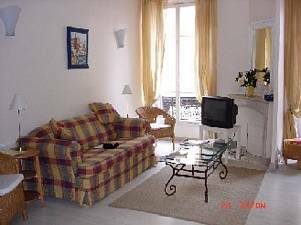 Situated on the Rue Hoche with its elegant shops and restaurants, the apartment is on the first floor, reached by lift or stairs and has balconies to the front and rear. 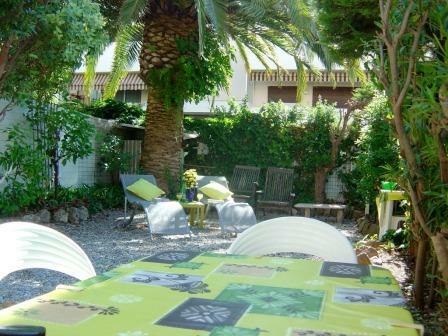 This is a relatively quiet location as the Rue Hoche has traffic only for access, and all the bedrooms are on the courtyard side of the Building, a very important consideration in Central Cannes! 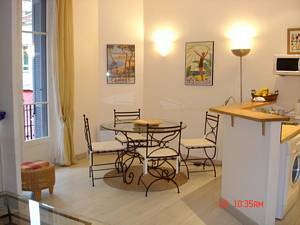 Recently tastefully renovated, this apartment has full air-conditioning, and is equipped with everything for modern and easy living. 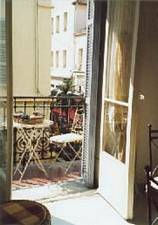 The light and airy dining area seats six and has double French doors leading to the front balcony, which overlooks the Rue Hoche with its lovely cafes and boutiques. The comfortable sitting area has audio CD player, television, video/DVD player, telephone and a library of local interest books, brochures and maps. The bar-style kitchen is very well equipped with oven, ceramic hob, microwave, refrigerator, dishwasher and washing machine. There is also a kettle, toaster and coffee machine. 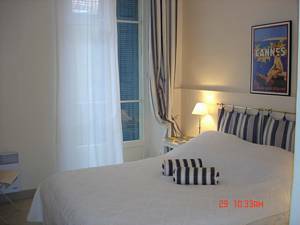 All three bedrooms have the same blue/white décor and beautiful windows with shutters. With very comfortable mattresses, beds can be twins or doubles with undetectable central seam. Each bedroom has an individual air-conditioning unit, lots of fitted storage space and large mirrors. All bedrooms, doubles or twins, are beautifully quiet being at the rear of the building. The bathroom has double sinks, bath, shower and heated towel rail. There is a separate toilet with sink. 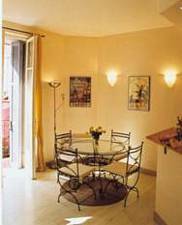 The apartment is usually let on a weekly self-catering basis, Saturday to Saturday. 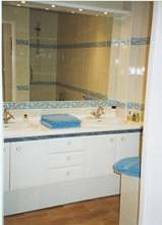 The beds are made up to the required number of singles and doubles and two towels are provided per person for use in the apartment. In order to encourage good housekeeping, a small charge is made for electricity, a final clean, and launder of the linen at the end of the stay and additional cleaning visits can be arranged if required. 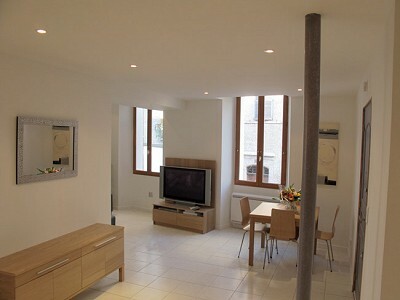 The Apartment is priced from £600 - £950 per week. With special low season rates of £450 per week and a Christmas/New Year offer of £600. Please enquire about special rates for the Congress periods. 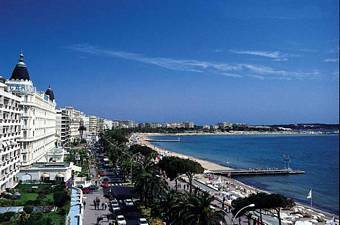 Cannes is a simple 30 minute bus or train ride from Nice Airport, which is served by low cost airlines from UK airports. The airport bus is particularly convenient as it departs from the airport terminus and arrives at a stop just a few minutes walk from the apartment. There is almost too much to summarise here! On your doorstep are shops, restaurants and markets and they make for excellent browsing and you are very handy for popping back to the apartment to drop off shopping, grab a cold drink and set forth again! Within easy walking distance (four minutes!) is the sea front (the famous Croisette) with public beaches at either end (it is also possible to pay to use some of the private beaches if you wish). 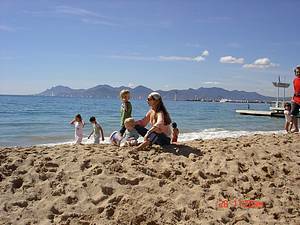 The Croisette is about a mile long and a regular promenade along this most beautiful sea front is a must. 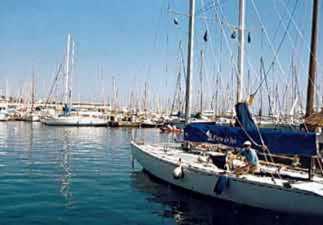 You can also walk westward past the harbour right along by the sea for a couple of miles to the other end of the Bay of Cannes and get the train or the bus back. 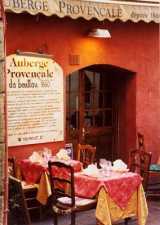 The old town of Cannes, called Le Suquet, set on a hill by the harbour, has a wide range of restaurants in its cobbled streets and an excellent view of Cannes from the top. 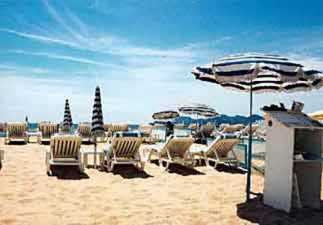 There are also various museums, galleries and cinemas in Cannes catering for most tastes. 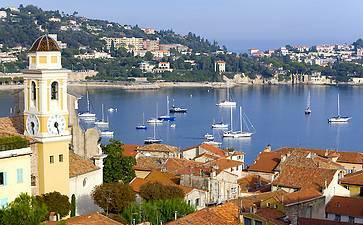 The local bus service is very good and you can travel cheaply locally around Cannes and to some beautiful historic inland villages, such as Mougins or Valbonne within 30 minutes or so. If you intend doing a lot of local bus travel then go into a tobacconist’s shop and buy a bus credit card which you insert into the machine on the bus making it even more economical. 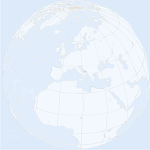 The rail service is also excellent with frequent trains going along the picturesque coast eastwards to Antibes, Villefranche, Monaco and into Italy, or westwards to Theole, St.Raphael and onto Marseilles and beyond. You are allowed to get on and off the train at stops along the way to your destination at no extra charge and, as it goes right along the coast, this makes a wonderful day out. The line inland to Grasse will re-open in 2005. 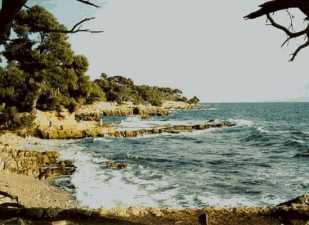 For some more excellent walking, try getting off the train at Villefranche sur Mer (just the other side of Nice) and taking the wonderful coastal path around Cap Ferrat, ending up at Beaulieu station to get back on the train. Villefranche is a captivating place with its maze of old buildings and the scenery is breathtaking, both out to sea and inland to the sumptuous villas! Another interesting little train trip is to go in the other direction to the other end of the Bay of Cannes, about 10 minutes on the train, to Theole sur Mer. Make your way out of the station across a very pretty courtyard full of tempting restaurants and cross the road to the sea front. Cross the road to the beach to the right of the beautiful old castle (which houses an art exhibition), cross the sands and stroll right along between the sea and the castle walls along an old stone path and then continue over the cliffs to more beaches, harbours and restaurants with decks out over the water and stunning views back to the castle. The two beautiful Lerin Islands, off the coast of Cannes, are well worth a visit for an idyllic picnic, a relaxing walk or a swim. There is a regular boat/ferry service from the harbour in Cannes, a ten-minute walk from the apartment. 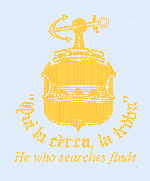 There are also numerous golf courses along the coast and inland. 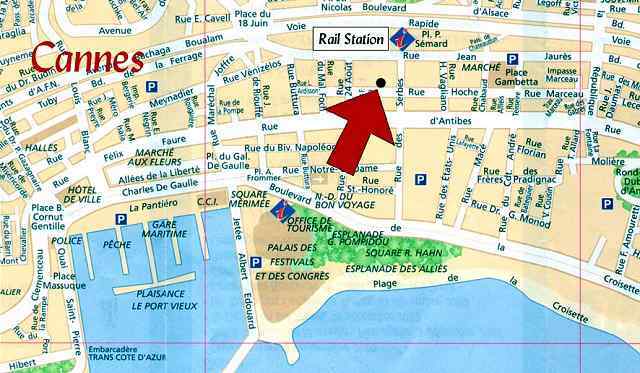 For seasonal activities and up to date information on what’s happening in Cannes, call into the Tourist Information situated at the Palais des Festivales and next door to the train station. Read at the back of the Visitors Book in the apartment where previous guests have eaten and their comments on the restaurants – and leave your own of course – and also feel free to leave a note of places of special interest you have found and may be of interest to others! 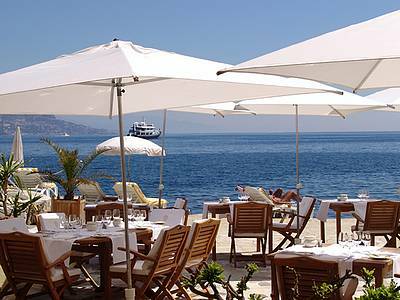 If you are looking for just a few days when everywhere is booked, here are hotels in Cannes. If you are interested in buying a property here are villas houses and apartments for sale for around £300,000 and others here are villas houses and apartments for sale specifically on the French Riviera.